Introduction. Twin-calving occurs in 3 to 5 % of Holstein Friesian cattle, and it is mostly followed by reproductive and economic problems. This evaluation will compare the service period and the milk yield in cows with single and twin births at a Hungarian large-scale farm. Materials and Methods. The data were collected from 4223 cows between 2000 and 2010. In Cox’s regression model (service period) and general linear model (milk production traits), the type of calving (single/twin), the construction code (referring to the Holstein Friesian blood proportion), the season and number of calvings were fixed effects, and furthermore, the year of calving was a covariate. Results and Conclusions. This analysis showed there was no significant difference in the length of service period between the two groups of cows. The total lactation milk yield produced a meaningful difference in performance: single-calving cows had greater milk yield (p=0.013), fat yield (p=0.030), and protein yield (p=0.028) than cows with twins. The milk yield was significantly greater in single than in twinning cows, even when single-calving cows had low milk production levels. This unexpected and contradictory result could be explained by the much longer period of open days in twinning cows, known from previous research Regarding milk yield, an involuntary decrease for cows after twin calving was confirmed. Cady R. A., Van Vleck L. D. 1978. Factors affecting twinning and effects of twinning in Holstein dairy cattle. Journal of Animal Science, 46:950-956. Fésüs L. 2004. Immuno-, molekuláris és citogenetika állattenyésztési alkalmazása. In: Szabó F. (ed): Általános állattenyésztés. Mezőgazdasági Kiadó. Budapest, p. 102. Keary V. (2017): Reproduction characteristics in the period after calving of cows carrying twins at a Hungarian Holstein Friesian Dairy Farm. 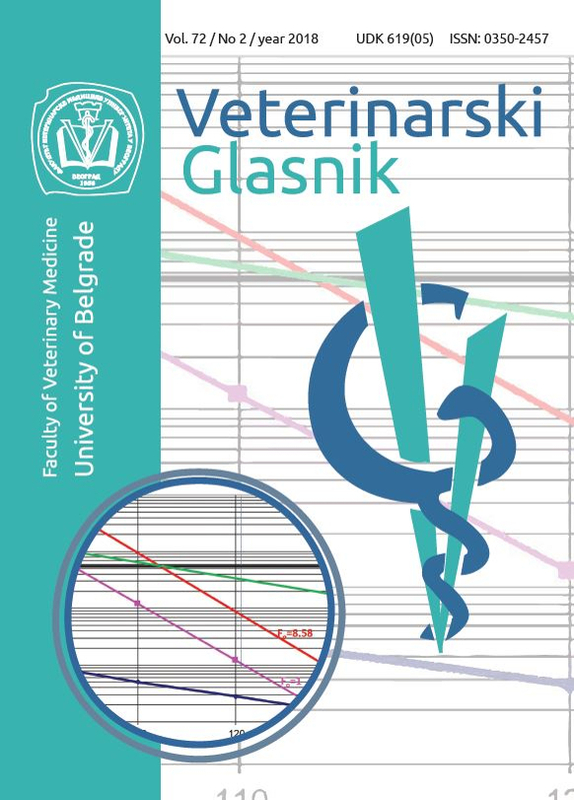 University of Veterinary Medicine, Budapest, p.26. Nielen M., Schukken Y.H., Scholl D.T., Wilbrink H.J., Brand A. 1989. Twinning in dairy cattle: A study of risk factors and effects. Theriogenology, 32:845-862. Répási A., Szelényi Z., Reiczigel J., Bajcsi Á.Cs., Horváth A., Szenci O. 2014. Control of ovulation after prostaglandin treatment by means of ultrasonography and effect of the time of ovulation on conception rate in dairy cows. Acta Veterinaria Hungarica, 62(1):74-83. DOI: 10.1556/AVet.2013.042. Szelényi Z., Boldizsár Sz., Bajcsy Á.Cs., Szenc O. 2009. Ikervemhesség előfordulása és a termelésre gyakorolt hatása hazai tejterelő állományokban. In: Szenci O., Brydl E., Jurkovich V. (eds. ): Termelni csak egészséges állatokkal lehet. In: Proceeding book of the “A Magyar Buiatrikusok Társasága 19. Nemzetközi Kongresszusa”, ISBN: 978-963-87942-2-2, október 14-17. Debrecen. 2009. pp. 12-19. Szenci O., Bujál D., Bajcsy Á.Cs., Horváth A., Szelényi Z. 2015. Az ellés utáni méhelváltozások diagnózisa és gyógykezelése tejhasznú szarvasmarhában. Magyar Állatorvosok Lapja, 137:271-282.